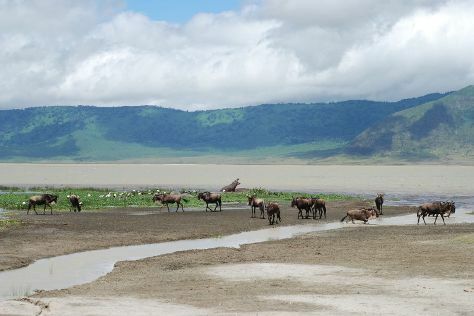 On the 30th (Sat), take in the dramatic natural features at Ngorongoro Crater. To find traveler tips, more things to do, maps, and tourist information, you can read our Ngorongoro Conservation Area travel route builder website . Amsterdam, The Netherlands to Ngorongoro Conservation Area is an approximately 19.5-hour flight. You'll lose 2 hours traveling from Amsterdam to Ngorongoro Conservation Area due to the time zone difference. Wrap up your sightseeing on the 30th (Sat) early enough to fly to Kilimanjaro National Park. 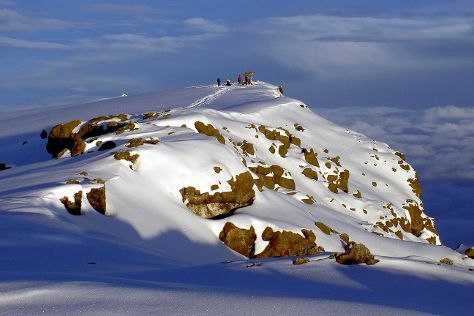 Kick off your visit on the 31st (Sun): take in the awesome beauty at Mount Kilimanjaro. For maps, more things to do, and tourist information, go to the Kilimanjaro National Park planning site . Fly from Ngorongoro Conservation Area to Kilimanjaro National Park in 3.5 hours. Alternatively, you can do a combination of taxi and flight. Finish your sightseeing early on the 31st (Sun) to allow enough time to travel to Zanzibar City. Take a break from Zanzibar City with a short trip to Nungwi Beach in Nungwi, about 1h 20 min away. There's still lots to do: stroll through Cheetah's Rock, admire the striking features of House of Wonders (Beit-el-Ajaib), look for gifts at Mwanzo Mpya, and enjoy the sand and surf at Nakupenda Beach. To find reviews, maps, more things to do, and other tourist information, you can read our Zanzibar City driving holiday website . You can fly from Kilimanjaro National Park to Zanzibar City in 2.5 hours. Alternatively, you can do a combination of bus and flight; or do a combination of bus and ferry. In March, daytime highs in Zanzibar City are 38°C, while nighttime lows are 29°C. Wrap up your sightseeing by early afternoon on the 4th (Thu) to allow time for travel back home.